As soon as their wedding date is confirmed. Depending on whether couple decide to rent off-the-rack or made to measure! 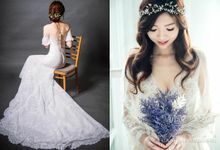 Our wedding gowns are designed and handmade by our gown designers according to the figure and frame of Asian women. 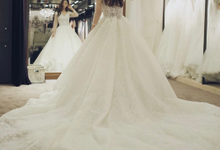 It is accentuating and fitting for our brides. 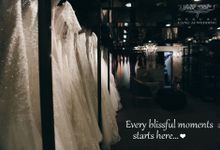 We provide accessories such as boleros and detachable sleeves to match and customize the wedding gowns as well. Most Beautiful Wedding Gown Award for consecutively 7 years. 50% deposit, 50% nearer to the date. Our business is established for over 30 years, headquarter is in Taipei. We also have stores in Kaohsiung, Hong Kong and Singapore. The sooner the better, most ideal will be 2-3 years before their wedding day! Best Wedding Gown Award for consecutively 7 years. 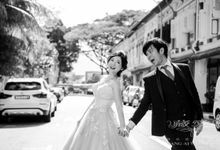 Our wedding gowns are designed and handmade by our gown designers according to the figure and frame of Asian women. It is accentuating and fitting to our brides. 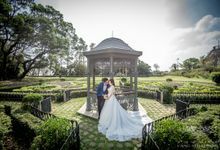 We provide destination wedding to Taiwan where we also have our own private shooting base and resort available. We have an extensive amount of resources to provide the perfect wedding experience for our couples! As soon as the date is confirmed. 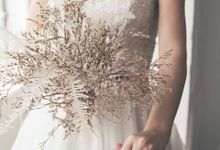 On makeup and styling, we make sure that every bride becomes the most beautiful version of themselves on their big day. We charge depending on the number of makeup and styling required. Yes Extra charges maybe applicable. Yes It depends on your needs and requirement. 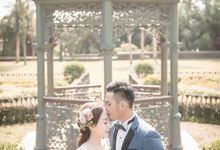 Normally on a wedding day, we offer 2 times of makeup and styling sessions including the wedding ceremony, lunch banquet or wedding ceremony and dinner banquet. However the number of makeup retouched can be adjusted upon request. 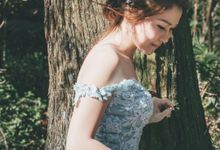 Cang Ai Wedding is a international bridal boutique that designs exclusive handmade wedding gowns catering to Asian women. 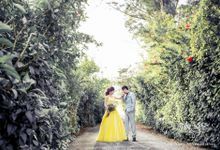 We offer a "one-stop" bridal service ranging from ROM, pre-wedding to actual day rental, photography & videography. Our professional studio offers family portrait, maternity photography and personal portrait services. 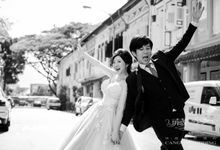 We are experience in providing destination wedding both locally and in Taiwan. 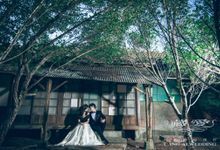 Cang Ai Wedding is dedicated to deliver a personalize service to every couple.